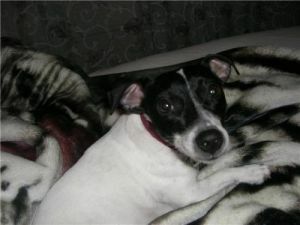 Laci is a small Jack Russell. She is 3 years old and full of life and love. 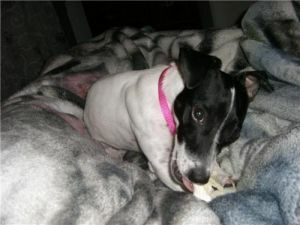 She is an owner give up and is looking for a new family to have fun with and then curl up and go to sleep with. She needs a family with no small children, she came from an abusive family and needs someone who will train her to turst and build her confidence. Guardian Angel Animal Rescue's standard adoption fee is $175 for puppies and medium or large breeds, $275 for small breeds. Our adoption process includes an application, vet reference checks, and a home visit. 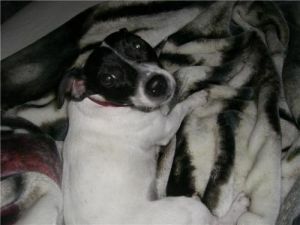 We do not have a facility; all of our dogs are fostered in private homes. To meet a dog, please contact us at 734-516-2171, or email us at guardian_angel_rescue@hotmail.com. Appointments to visit our dogs will be available after an application has been filled out, and processing has begun. E-mail inquiries will be answered much more quickly than phone inquiries; our phone number is a voice mailbox only. Thank you for your interest in a rescue dog!